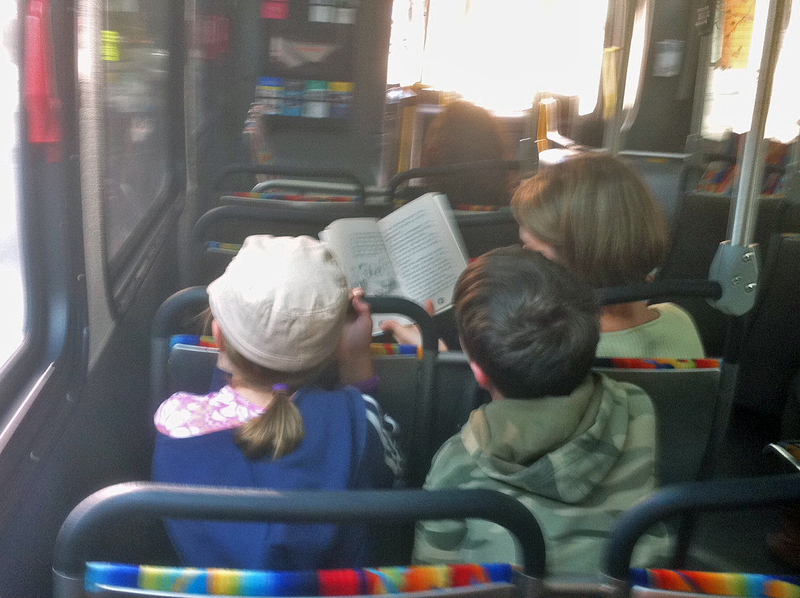 Rob caught this nice moment of kids sharing a story recently on the Metro Silver Line northbound from Exposition Park. The photo was taken with an iPhone. BORING!! I’m glad i purchased my HTC-HD over the iphone, that picture quality is crap.